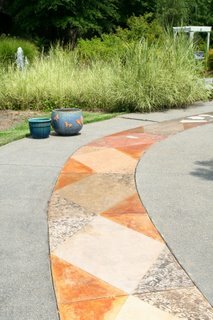 Consider patio tiles for your patio living space if you want something different. 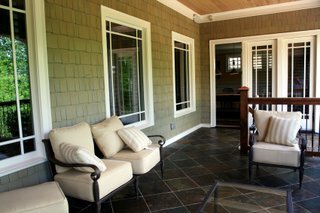 Patio tiles are a beautiful choice for your yard as they provide a touch of elegance and finish to any backyard living space. There are different types of patio tile that you can choose for your patio, so it is important that you consider a few things before you choose a type of tile. Consider the climate that you live in before choosing tile. Some tiles are not suitable to colder climates, and will only do well in warm areas. Some tiles will crack with the cold. If you live in a particularly cold climate, tiles may not be a suitable choice at all, however if you do experience some freezing in the winter months look for a tile that has a longer firing time and is fired at a higher temperature than others. These tiles tend to be denser and more water tight, making them a much better choice where there is freezing. While tile can look beautiful and very elegant surrounding swimming pools, it is not a very practical choice as the smooth surfaces get very slippery when they are wet resulting in an unsafe situation. If you are looking for a tile to place around your pool, you can look for a tile with a very high friction rating to help protect yourself and loved ones around the pool. Patio tiles are perfect for clean up, if you are going to be cooking or eating on your patio tiles, you do not need to worry about clean up. After you seal your tiles with a special tile sealer, it will repel water and oils and make clean up a breeze. Laying a tile patio may not be a weekend do it yourself project for most people because it can be quite labor intensive. Tile needs a concrete base to lay on. Therefore, if you do not have a preexisting concrete base you will need to frame up and pour one, and if you do not know what you are doing this will be quite challenging. Once the concrete is poured and cured, the tile is adhered to the base in thick mortar and is grouted between the tiles. Once the tile has had a chance to set, a sealer can be applied. There are a number of different types of tiles that are available for outdoor use and you need to choose the tile that best suits your own personal style and the environment you live in. Some of the types that you can choose from are ceramic, porcelain, terracotta, slate, marble, limestone and mosaic. There are also frost resistant tiles for areas that experience colder climates. Patio tiles are beautiful in any landscape environment and with the proper planning and installation; you can enjoy the stunning style of patio tiles.